Q: What is the minimum quantity I can order? over 50, such as 52, 233 and so on. 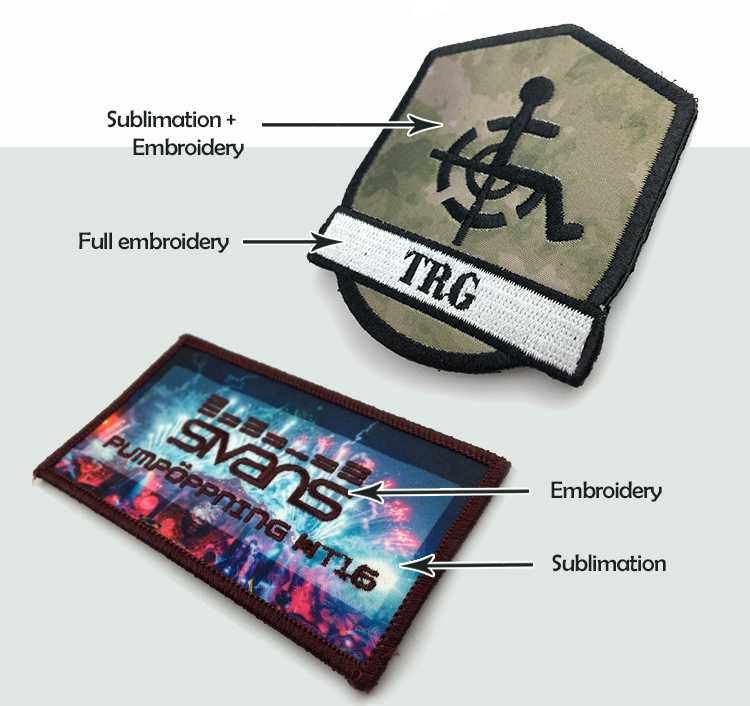 Q: How long does it take to get my patches in hands? 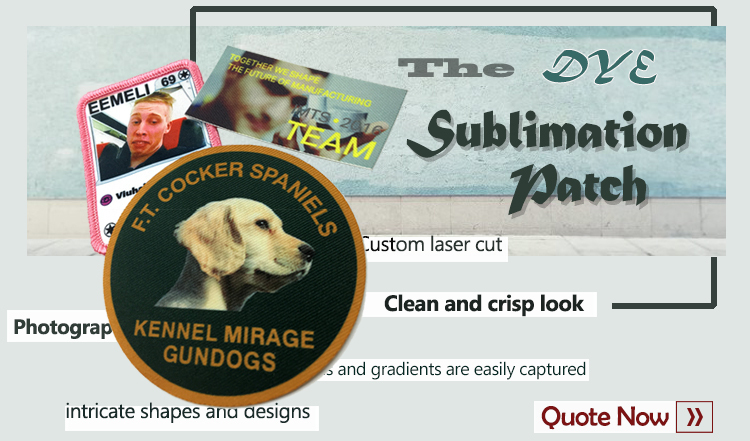 Q: Can I order a sample before doing a full production run? manufacturing and shipment of your sample and does not apply toward the balance of a full order. Q: What is the difference between a Merrow Border and Hot Cut Border? A: A merrow border is a heavier border which is stitched up and over the outer edges of your patch. shape of a car or animal. 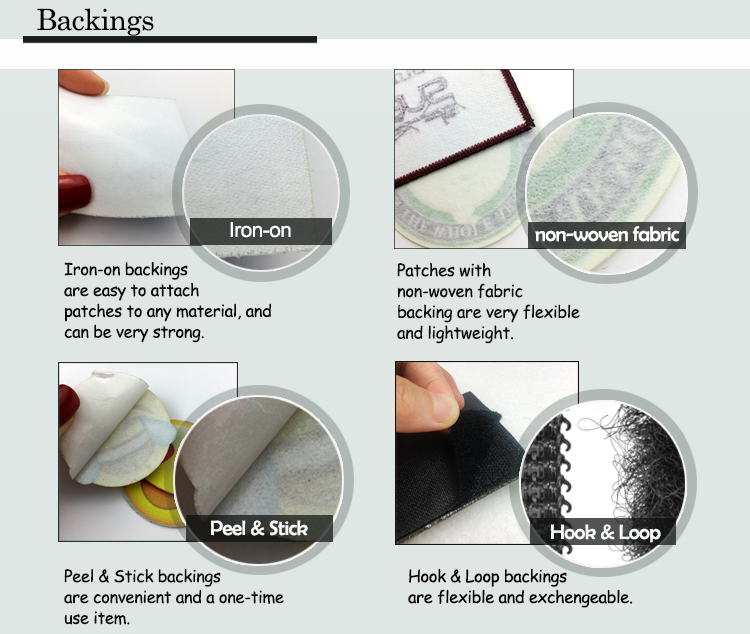 Q: How durable and long-lasting is the Iron-On backing? many washes (approx. 50-70). 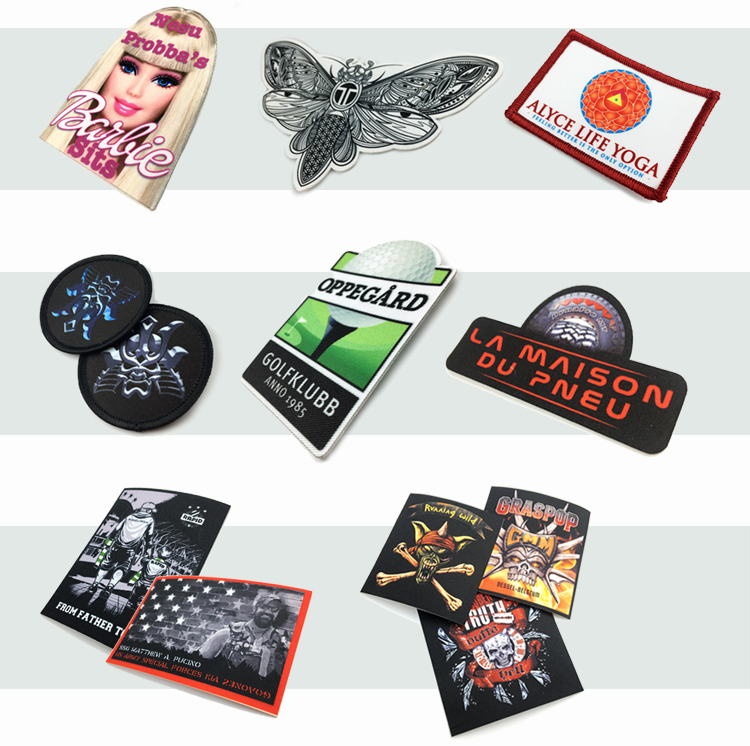 Iron-on patches can also be sewn to your garment after ironing on. Q: Is the Peel & Stick backing considered permanent? event, and are able to be sewn on after the peel & stick backing has lost its stickiness. 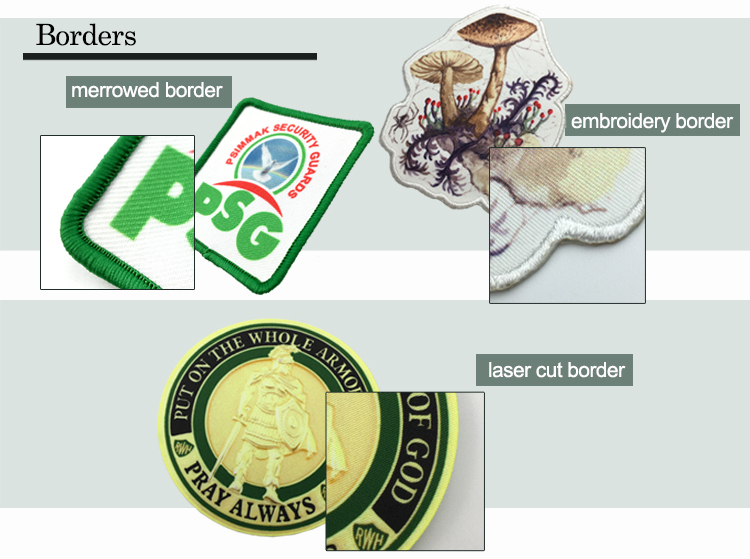 Q: What other types of patches or products do you make other than standard patches? backing options are also available.